Hobart - Port Davey. Option 1. 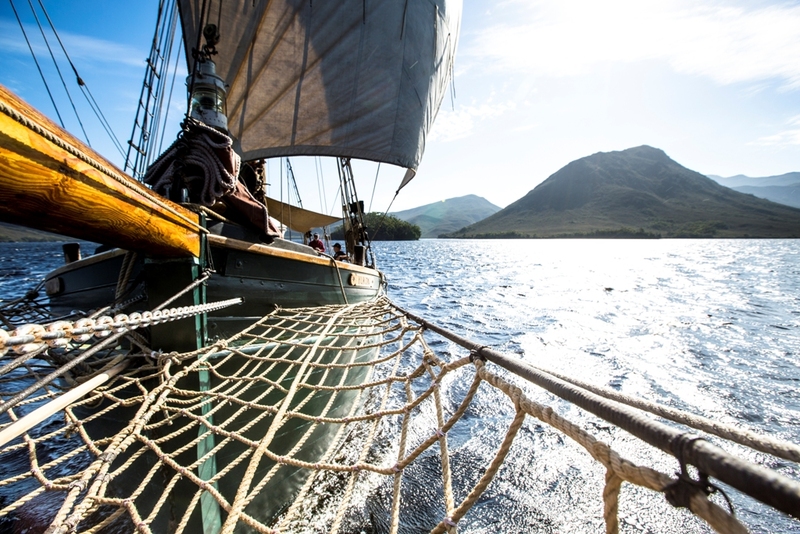 Sail aboard Yukon in the heart of Tasmanian World Heritage wilderness, Port Davey. A picturesque voyage at the bottom of the world, this little known paradise of intricate waterways, white beaches and crystalline ridges rising sharply from the Southern Ocean, has captured the imagination of adventurers for centuries. Port Davey and Bathhurst Harbour lie on Tasmania’s wild south west corner. They are part of the UNESCO World Heritage Area. There are no roads into Port Davey. Access is by sea, light plane or five days hiking the south west trail. The time spent at Port Davey is relative to passage times and can vary due to weather. Usually we would expect to have about 4 to 5 days in the South West National park. Normally the first/last 48 hours are spent in the D’Entrecasteaux Channel – we like to anchor at Recherché Bay on the first/last evening and take a walk ashore on the varied beaches of this lovely bay. The 70 mile passage to/from Port Davey can include a landing at Cox’s Bight but often we make a non-stop passage traversing this seldom seen coast line in daylight hours making landfall at dusk. The 4-5 days in the wilderness are spent sailing and walking the coastal areas of Port Davey and the Bathurst narrows and Bathurst Harbour. We anchor each night and discuss options for walks and short sailing passages for the following day. Short sailing trips around Port Davey can include the following destinations. Melaleuca Airstrip, Deny King’s old tin mine. All destinations are considered with regard to weather and an individual’s capacity. The prime objective of the voyages is to enjoy Port Davey national park and its coastal surrounds, whilst taking advantage of Yukon’s roomy comfort. Boat trips in our ships boat and a series of short guided/unguided walks will be a part of the daily program. Price includes all meals and beverages on board. Price does not includes flights.